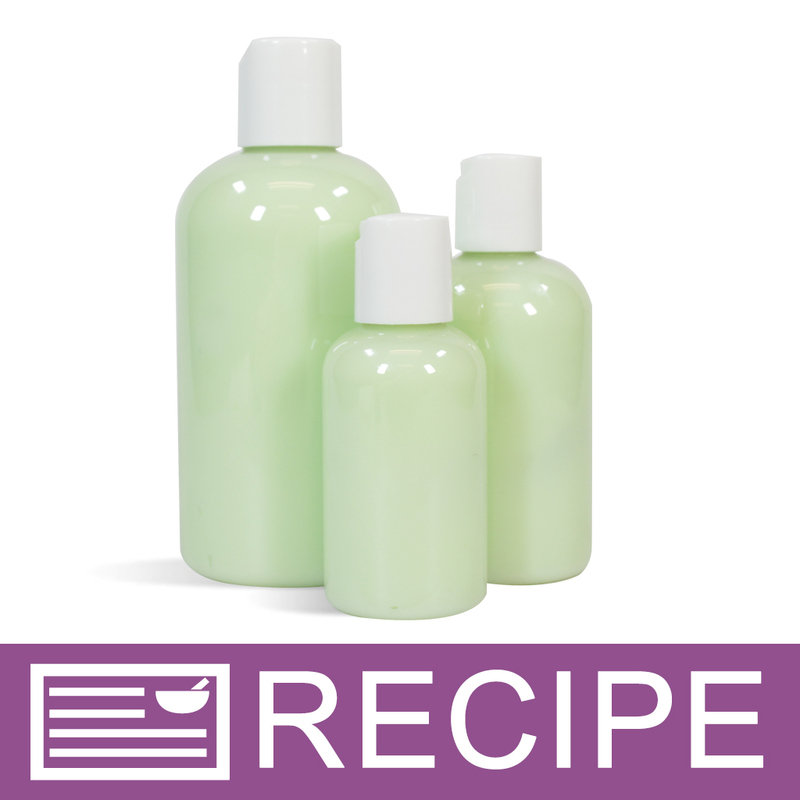 Expand your product line with the light green lotion made from this lotion making project. Create eight-ounce, four-ounce, and two-ounce sized lotions all in a lemongrass scent. We use a basic lotion base, making this project easy to make. Perfect for the first-time lotion maker or for the experienced soapmaker looking to expand their product line. You Save $44.30 by purchasing this kit rather than buying the items separately. "Great lotion and amazing scent"
COMMENTS: Easy to use kit. Fast to make. Non greasy, easily absorbs. Love that it has 3 different sizes. The lemongrass verbena fragrance that came with the kit is light and refreshing. Loved it! COMMENTS: I am working on a line for my salon and this product was a great addition. I would like to purchase the kit with other fragrances though. that would be a great add on option. COMMENTS: I loved how easy this was to put together. I've made 4 different versions of this lotion by switching out the fragrance and colorings. My customers love how light it goes on but moisturizes their skin without feeling heavy and sticky once the lotion dries. This product is simply, awesome as a basic lotion product to my product line. COMMENTS: This kit is perfect. It has everything you need, so you don't have to worry about trying to figure it all out. It has the perfect amount of lotion base in it to fill all of the bottles, fragrance, and caps. • Love that it has everything included. COMMENTS: After giving it much thought on making lotion, I decided to order this product. I have had nothing but rave reviews from my customers! So light and absorbs quickly with no oily residue. Wow! So easy to make. I have ordered more of this product that's how much my customers and I like it. COMMENTS: I was unsure about this kit when I ordered it, however, the other wonderful reviews drove me to getting it and then eventually ordering two more! I did not use any color or the provided Fragrance Oil, I used the Hot CoCoa Fragrance Oil. This kit is very easy and even my mother enjoyed doing it with me. I will say that I have found when filling the bottles it makes easy filling to hold it slightly tilted and rotate it around after each pump to keep it even. Even using a digital scale to make sure the bottles had the exact amount of lotion in each, I still over filled a few after filling all the bottles I also still have enough to fill probably another 4 to 8 oz bottle! I recommend buying this kit if you are new, or just want to save money on offering a new scent as it comes with everything you need! COMMENTS: I used this to make an additional product in my line for craft fairs. I didn't use the FO that came with it. I used watermelon, and blueberry to have summer scents. It does take a little heating in the microwave, but really comes together well. COMMENTS: I love this kit. The lotion is fantastic. My customers love it. It sells great. This is the only lotion my husband uses. He is my best salesman. "Leaves my skin very soft!" COMMENTS: I love this lotion! It leaves my skin feeling so very soft. COMMENTS: This will be my first time making anything such as this. I loved every minute of it and and extremely satisfied with the result. It smells wonderful and I am already getting great compliments on it. I did swap the fragrance with the Cotton Candy Fragrance oil and it is great! "Basic Lotion Making Kit "
COMMENTS: Easy to make product but if you use two large bowls you can mix up ingredients in one while warming the other, then combining the two bowls you will find that you have at least 8Oz. or more left over to use any way that you wish, highly recommended to all!! COMMENTS: The kit delivered as promised and the directions were easy to follow. I was very happy with the lotion as well as the wonderful lemongrass fragrance oil. This kit is great for a first time user. COMMENTS: I first purchased this to find out what I needed to get into the homemade beauty products. When I received it I had more than what I thought I was going to need! Loved the finished product! COMMENTS: This is the perfect 'try me' kit- to let my customers give me a better feedback on what scents are preferred so I'm not stuck with shelf-sitters. I don't use the scent it comes with-I actually use the scent to make the Mechanics Scrub kit (the ladies prefer it and I label it differently). 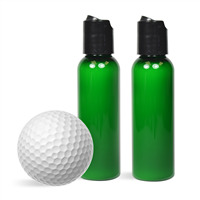 With this kit, I split it in half and use 2 other scents of choice and label the bottles accordingly. Marshmallow and vanilla buttercream are hard to keep on the shelves, and the variable sizes are great for any use. • Different sizes for customers. • Easily accepts other FOs. COMMENTS: This was my first starter kit I purchased from Wholesale Supplies. The instructions were very clear and helpful. The kit only gave you exactly the ingredients that you needed to make the lotion. I would recommend this to anyone that is just starting out making lotions. It really gives you a basic understanding of how to make them. I didn't end up using the dye in my lotion since I'm allergic to most of them but the lemongrass oil was very nice. "Easy enough for beginners, people love the scent"
COMMENTS: This was my first experience with lotion making. My measurements may have been slightly off, due to losing most of my measuring tools in my last move. But the kit made it easy and the product still came out great! The directions were easy to understand, and after some mixing, shaking, pumping (and then later pulling out more bit by bit with my gloved fingers after the jug ran low and so the pump stopped working haha). I recommend filling the bottles biggest to smallest so you save time and effort. Next time, I'd like to scale the recipe down to add different scents and colors, essential oils, etc to really make it my own. It was an excellent way to start expanding my massage therapy business and adding income as I work at various summer fairs and festivals. I sold 3 my first day! Most people loved the invigorating lemongrass scent. • Smells and feels great! COMMENTS: This kit was very easy to make and smells great. The lemongrass verbena smells so clean. All of my family and co-workers wanted to know where they could buy the lotion I was wearing. I highly recommend this product. COMMENTS: The lotion base is awesome! It was easy to use and for my clients that do not like a smell or have sensitive skin will love this product! I used some as soon as I received it!! Great lotion!! COMMENTS: I added this product to my soap line up to offer my customers more choices. I like that lab tests have already been done for this product. The lotion was a huge success at my last market. The customers loved that it absorbs without leaving too much oil on the skin. I will be selling more of this for sure. COMMENTS: I think WSP excells at providing products easy to make at very affordable prices. This is certainly one of them. Having the 3 different sizes of bottles is great, the lotion is smooth and not sticky, the scent (Lemongrass Verbena) is clean and fresh, and the color is enticing. My husband was a good sport with this one and shook the gallon jug to mix everything up, but he did complain that it was not easy to do! However, even he likes the lotion and uses it on his hands because he likes the way it makes them feel so fresh. And I agree with him. 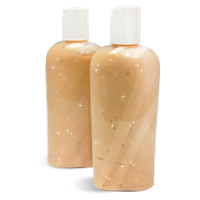 I can add other fragrances and colors to this lotion base and come up with an entirely different product, which allows me to experiment on my own. Love this product! "I have your hemp lotion kit it turned out really too thick how can I remedy this? Thank you"
Staff Answer If adding water to a finished lotion, you can break the emulsion and would also need additional preservative. If making the recipe again, you can either increase the water or decrease the butters and emulsifying wax. You can plug this recipe into our Percentage Calculator to see the percentage of each ingredient. A thinner lotion can have up to 80% water so you can increase this appropriately to what you want. "What kind of spoon should I use- metal or plastic? I am also wondering if I should I look for any particular spatula- metal, plastic, silicone? Thank you!" Staff Answer Hi Jane - We recommend a clean sturdy spoon or spatula. It could be metal, plastic, or silicone as long as it is strong enough to stir the lotion. Once used for making lotion or soap it should not be used for food. We recommend labeling it so it doesn't accidentally get used for food. "Can I sub the fragrance oil for essential oil? And if i did would it just be to the strength I like or is there a specific formula?" Staff Answer Because Essential Oils are so concentrated, we would recommend to only use about 1-2% in the Basic Lotion Base. In this recipe, that would be about 1-2 oz. of Essential Oil depending on the strength of scent you would like it to have.